dudes ain't been to Virginia! I saw one at the university that said "LUV JMC"!! I sent a picture of this to Jaymc. Haw. hadn't made the canasta-Mellencamp connection. Skipping 1805 messages at this point... Click here if you want to load them all. And yeah, dude had a Tom Cotton sticker. (Which I posted on Instagram with the caption "All hail the second coming of Cheese God." parked in front of my office where it is labeled parking for my office only so he could go to the post office. i gave him the stink eye. 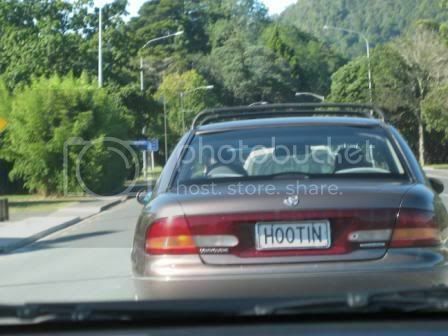 he was rubbing smudges off his precious, stupid car. Tesla driver in flagrant display of vanity SHOCKR! I don't know who had it worse - citizens dealing with world war and rations in 1918 or me living in the year 2018. 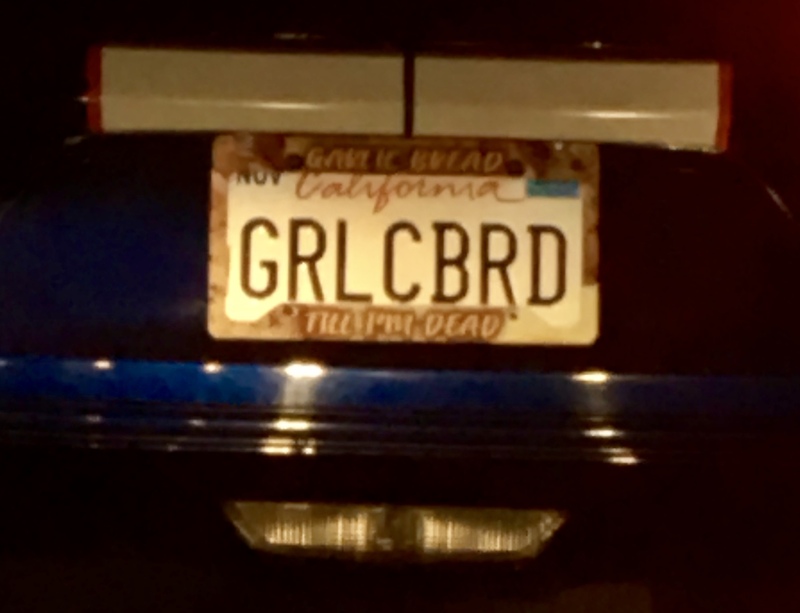 My old therapist has God as a licence plate. These poor old Mee-Maws never counted on 2019 being like this. 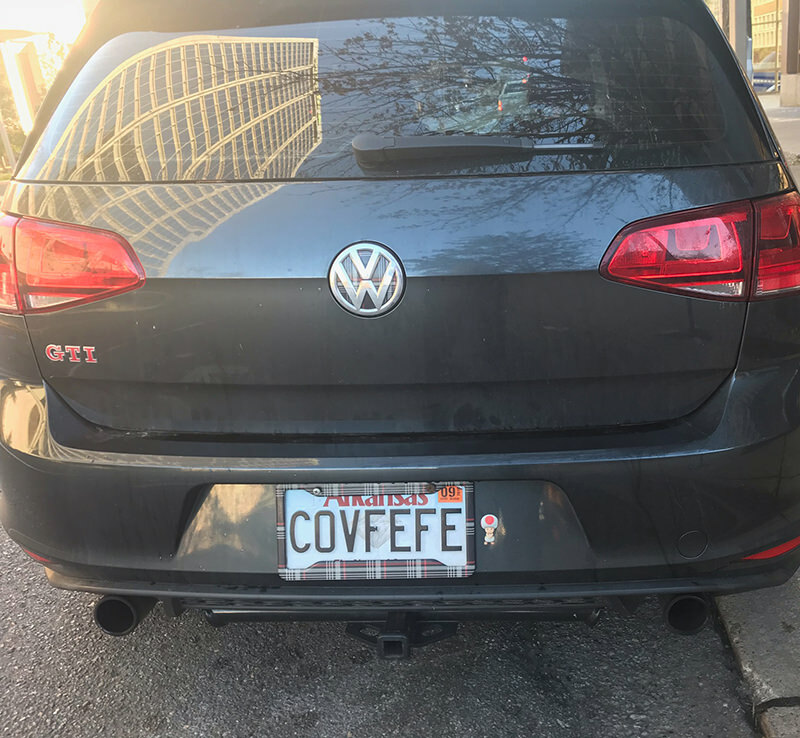 Alabama plates, right outside the State Department.